Here's an example maid of honor speech sent in by Chiquita from the United States. This is a great example of a short, sweet, personal and touching speech that your best friend will appreciate and remember. Chiquita incorporated some of the key elements of a good toast at a wedding. She made it brief, included a personal story and provided an opportunity for the guests to wish the couple well. I hope Chiquita's maid of honor speech helps you out in putting together your own. 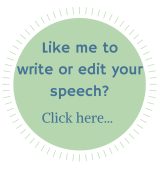 If you would like to share your speech...any speech with the visitors to best-speech-topics.com just fill in the form. Thanks so much Chiquita for sharing your great speech with us! Family members, friends, and especially Taneka and Omar. Today is a special day. As I looked forward to it yesterday, I had a tear in my eye remembering the promise that Taneka and I once made to each other - to be each other's maid of honor. I remember when Taneka met Omar. The idea of getting settled seemed the furthest thing from her mind, but soon I saw that she was serious about being with him. The truth is that I was afraid I was going to lose my best friend. But instead, I have gained another in Omar. Omar is not just a good friend, he also happens to be exactly the kind of man I am glad my best friend will spend the rest of her life with. 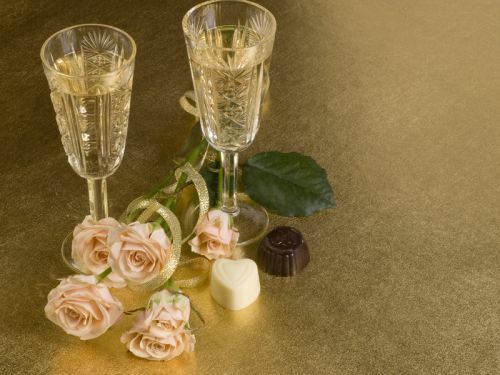 To Omar and Taneka, may your marriage be joyous and blessed. I look foward to giving my next speech at your 50th anniversary party. I love you guys! I hope Chiquita's maid of honor speech has given you some ideas for your own toast. Check on back or subscribe to the blog to keep up-to-date with all the new offerings at best-speech-topics.com.